For decades, that phrase has been the calling card of vintage guitar buyer David Davidson. Davidson’s patient, long-term strategy has obviously worked. 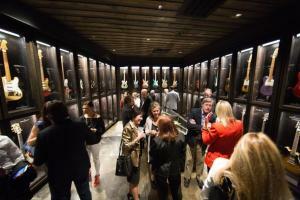 Visitors can take in the results at the new Songbirds Guitar Museum, which opened in Chattanooga, Tenn., in March. 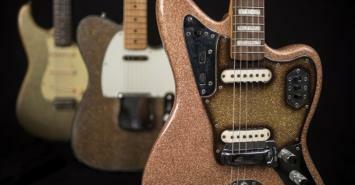 The museum’s collection belongs to an investment group of five anonymous collectors who claim it is the most extensive and comprehensive display of vintage guitars in the world, estimated to be worth more than $200 million. “One of the great things about the museum is that these guitars will be immortalized,” says Davidson, who is curator and CEO of the new museum. Davidson knows the story behind the guitars in the collection because for most of them, he was the one who hunted it down and procured it, often deploying his “call me last” strategy to get that special rare gem. From Bluegrass flattops to coveted Gibson Sunburst Les Pauls, from custom-color Fenders to hollow-body Gretsches, the more than 500 guitars on display — about 25 percent of the rotating collection — represent the range and history of what Davidson calls the “golden era” of American guitar-making: Guitars from the jazz era, blues guitars, guitars from early rock ‘n’ roll and country music, surf guitars and even psychedelic rock guitars with glow-in-the-dark paint. By following the timeline of the museum’s collection, visitors can trace the origins of the electric guitar from the initial innovation of electric amplification, which allowed guitarists to shift from being seldom-seen supporting instrumentalists during the big band era to the star players of rock ‘n’ roll. Many of the guitars have been owned and played by famous musicians. 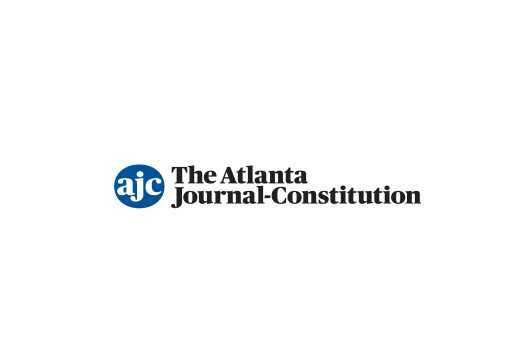 Keep an eye out for a guitar that once belonged to Roy Orbison covered with beautifully tooled black leather emblazoned with his name, a double-bass played by John Willie “Shifty” Henry on the Elvis classic “Jailhouse Rock,” an instrument case marked Skydog, the name of an early incarnation of the Allman Brothers Band, and many more. But Davidson says the real purpose of the collection isn’t just to show the guitars of famous players, but to reveal the now all-but-lost art of guitar-making from a time gone by. Davidson grew up in New York and first developed his love of vintage guitars while working in a music store as a teenager. He’s currently partner in a New York business called, appropriately enough, We Buy Guitars, which over the years has supplied rare and vintage guitars to the likes of Bob Dylan, Bob Marley, U2, AC/DC and the Rolling Stones. The idea stayed with them however, becoming even larger as the group began talking about opening a museum. “We started to fly around the country,” says Davidson. “We went to Austin, we went to Nashville, L.A., Seattle.” But Davidson says that it was Chattanooga and its revitalizing Southside neighborhood that most impressed. The Songbirds Guitar Museum is situated in a historic warehouse-loft space, part of the Chattanooga Choo Choo Hotel complex, which occupies the elaborate 1909 building that once served as the city’s terminal station. The museum’s creators took over a space formerly occupied by a somewhat dusty model train museum, removing plaster walls to reveal the building’s beautiful old brick work and riveted metal beams. 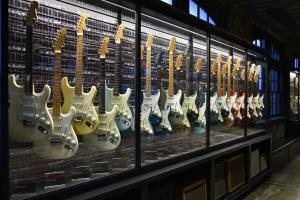 Davidson says that from the beginning it was important to the museum’s creators that it not just be a place where guitars sit encased behind glass. The venue hosts frequent events and concerts, the museum’s foundation branch delivers educational programming to the area and kids under 12 always get in free.